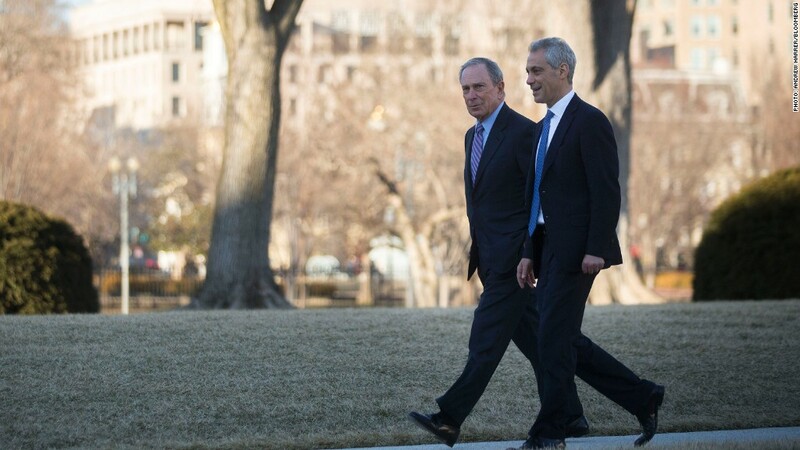 Michael Bloomberg, left, with Chicago Mayor Rahm Emanuel, one of the first five recipients of a Bloomberg Philanthropies grant. Albert Einstein once said that if he was given an hour to solve a problem, he'd spend the first 55 minutes thinking about it and five minutes coming up with solutions. But in government, there is a tendency to reach immediately for the first available solution, without spending any time thinking about different ways to approach the problem. It's understandable, because there is enormous public pressure do something -- anything -- quickly. But very often, that leads to throwing good money after bad -- and watching old problems get worse. That's standard operating procedure in Washington, but mayors around the country are increasingly starting to challenge it. More and more cities are becoming engines of policy innovation, searching for bold new solutions to tough problems that Washington has failed to address. Coming up with innovative new ideas requires creative thinking based on rigorous data analysis. And then, once the best ideas are selected, the hard work begins -- implementing them. Successful innovation depends as much on the ability to generate ideas as it does the capacity to execute them. The trouble is, many mayors have small staffs who are already stretched thin just keeping the trains running on time. It is often impossible for them to devote the kind of time and energy that is necessary to research, develop and implement innovative new policies. The i-teams gather and analyze the data that city leaders need to understand problems and their causes -- and later, to set goals, measure progress, and hold themselves accountable for success. As part of this work, the i-teams open up the brainstorming process to new voices to come up with ideas that better address the problems cities face. They also facilitate cooperation among different agencies -- and organizations outside of government -- that too often operate independently of one another, while tackling different pieces of the same problem. And they help consider programs and policies that have worked elsewhere and translate those ideas from city to city, saving time and money. 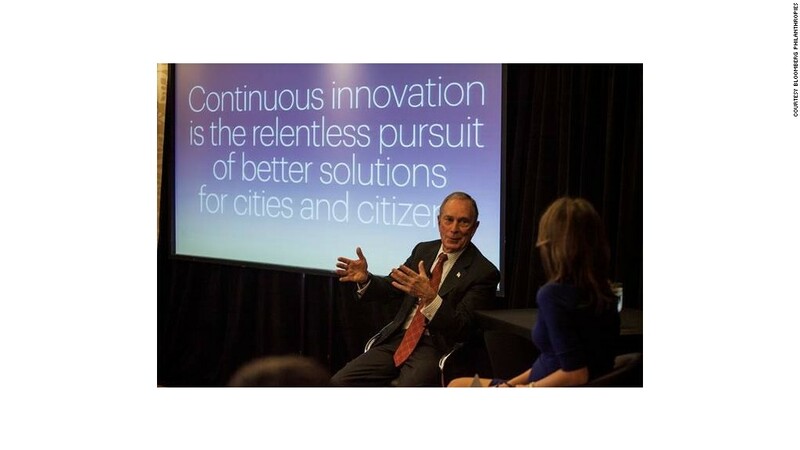 Michael Bloomberg in conversation at CityLab 2014 in Los Angeles. In 2011, we started funding i-teams in five U.S. cities -- Atlanta, Chicago, Louisville, Memphis, New Orleans. Last week, mayors of those cities wrote on this website about their experiences and what they've been able to achieve. Each of those cities initially set out to address a set of specific and urgent problems -- from gun violence, to economic development, to customer service -- and each achieved great results. In an encouraging sign, each city has now assigned their i-team to take on new challenges. And to ensure their work continues even after the grant expires, each city is moving to incorporate them into their public budgets. Based on the great progress we've seen in these cities, and the appetite for innovation that exists in cities around the world, we're significantly expanding our i-teams program. Today, we are announcing that 12 more American cities will develop i-teams with support from Bloomberg Philanthropies. These cities are Albuquerque, N.M.; Boston; Centennial, Colo.; Jersey City, N.J.; Long Beach, Calif.; Los Angeles; Mobile, Ala.; Minneapolis, Minn.; Peoria, Ill.; Rochester, N.Y.; Seattle; and Syracuse, N.Y.
We're also expanding the program outside our borders, by supporting i-teams in Israel's two biggest cities, Tel Aviv and Jerusalem. More and more, we're counting on cities to come up with creative solutions to the big challenges we face -- and increasingly, we know which approaches can do the most to help cities innovate. I-teams are one way to spread those approaches. We're excited to bring the program to 14 new cities, and to see how the lessons they learn can help continue to drive innovation in cities around the world.